Vocalists prepare arias and opera scenes, based on audition recording, for performances in the last two weeks of the festival. Singers will be immersed in Italian through language classes and coachings. Opera scenes are chosen from standard Italian repertoire, including Mozart, Rossini, Verdi, Puccini, Donizetti, Pergolesi, Handel, etc. Recent performances have included Le nozze di Figaro, Don Giovanni, Così fan tutte, Madama Butterfly, Rigoletto, L’elisir d’amore, Cenerentola, and Barbiere di Siviglia. Collaborative pianists will take Italian language classes in the morning, play for lessons and rehearsals, and participate in coaching the vocalists. There is one fellowship available for an outstanding collaborative pianist. All students have four hours of Italian each morning at the Lucca Italian School near the city walls. 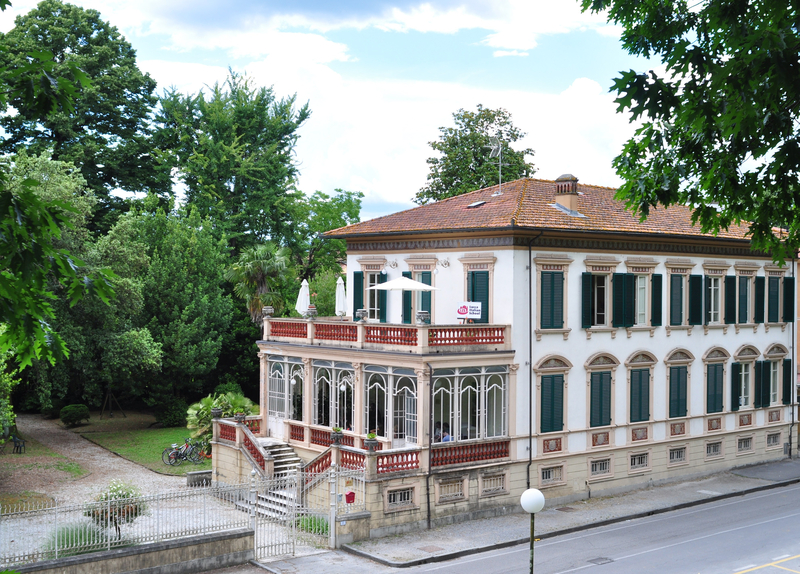 The school occupies a renovated villa with a private garden, veranda, and outdoor terrace. Students will be placed in an appropriate level for their ability. In addition to conversational Italian, the whole festival will focus on poetic Italian. The material covers at least one semester of university Italian and will help students test out of required language classes. Staying with a family in Lucca is the best way to improve conversational Italian and use the skills from language skills. There are limited spaces available with host families, provided by the Lucca Italian School. These are assigned by request based on the date of registration and deposit. Host families are located both inside the walls and outside. There are options for breakfast, dinner, and use of kitchen. Shared housing is available in apartments with kitchens. Most apartments are located within the city walls. There are shared and single room options.